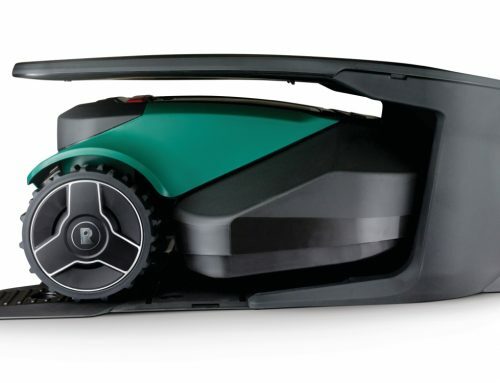 The Flymo 1200R Lithium-Ion Robotic Lawn Mower is focused towards those with small gardens, only reaching up to 400m² in size (just bigger than a tennis court). Even though it might be priced a little bit lower than any other model, it still has all the necessary features to keep your garden in great shape. In this review I’ll be running through all of its features, functions and capabilities to see how well it compares to its competition. Showing you if it’s a good mower and a worthwhile investment. 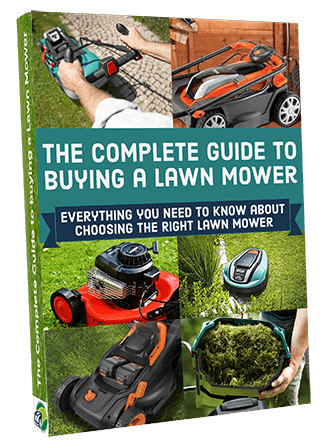 Should You Purchase This Mower? 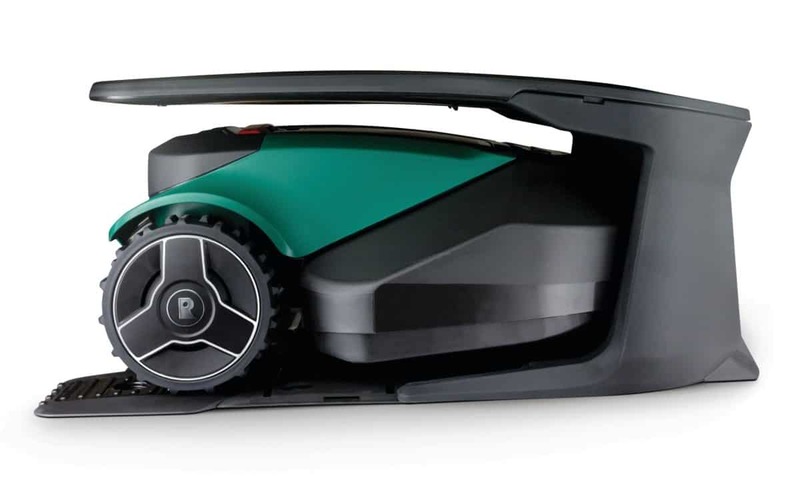 The Flymo 1200R has been fitted with an 18V lithium-ion battery and electric motor, which require 75 minutes to fully recharge and can produce 60 minutes of mowing. As this power system is electrical, no emissions are given off and is extremely quiet. The complete opposite of the petrol mower, that’ll make your ears bleed and kicks the sh*t out of the environment. 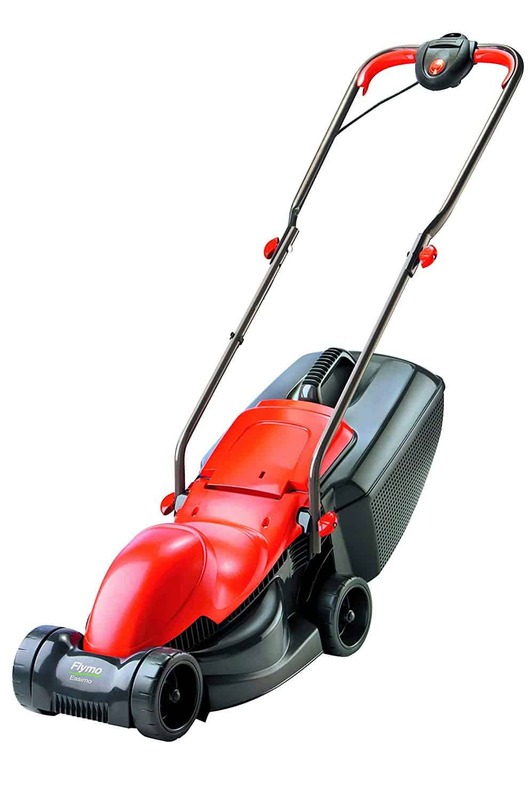 The 1200R has been designed to work effectively on slopped gardens – reaching 14° in height. However even with this, it could still have a tough time, to the point where it will get stuck. 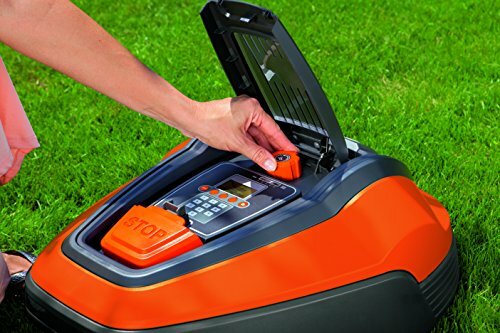 This does depend on the size and shape of your lawn but if it does get into any bother, you can easily pick it up and place it back in the charging station – it only weights 7.4kg. This mower has a very unique mowing pattern. It cuts your grass randomly which means it doesn’t leave tyre marks on your grass – unlike the conventional mowers. 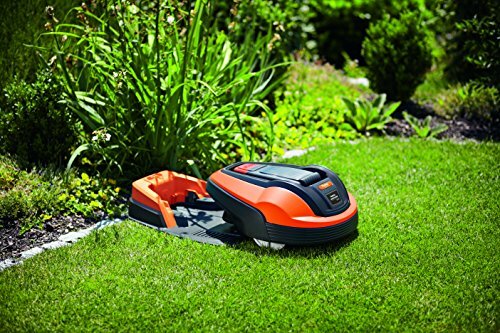 Using the loop wire and some built-in sensors for guidance, the 1200R can map out your entire lawn. 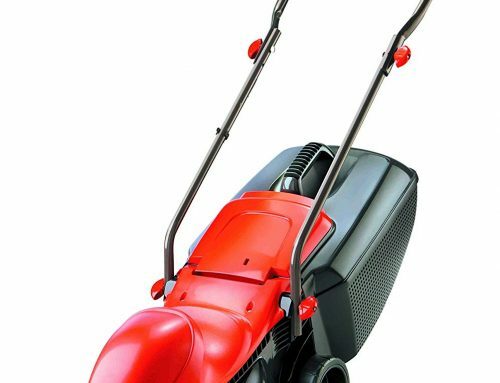 To use as little energy as possible and to ensure every inch of grass is cut, the mower calculates the perfect route to use in your garden. Keeping costs low but at the same time making your garden look great. If anything is left on your lawn that shouldn’t be there, like toys, twigs, stones etc, the mower will eat it. You don’t want to break the mower so try to keep the garden as clean as possible. This bot has multiple features which keep you and your family safe during a cut. When the 1200R’s lifted up or tilted at too high angle, it will automatically switch off its blade. Keeping you safe from any nasty accidents or injuries. But if you want to be a little more cautious, you can manually turn them off by pressing the big red STOP button on top of the mower. It’s really up to you which one you choose. To turn it on again, you can either place it in the charging station or put in the PIN code using the control panel. This prevents anyone from using the mower that you don’t want to, like your kids. If at any point anyone tries to use, or even steal, it the alarm will sound, alerting you of the situation. You will have to key the PIN code every time you want to reprogram its settings which can be a little annoying. But it prevents any damage to the mower and anyone from stealing it so I think it’s a fair trade. This prevents the mower from causing any damage to the things in your garden. It if does bump into something, the mower will stop in its tracks and move back a couple of steps, recalculate a new route and continue mowing in a different direction. This can work for anything like trees, flower beds and even the perimeter wire. Like all automowers, the 1200R lets you setup the height at which it cuts the grass. 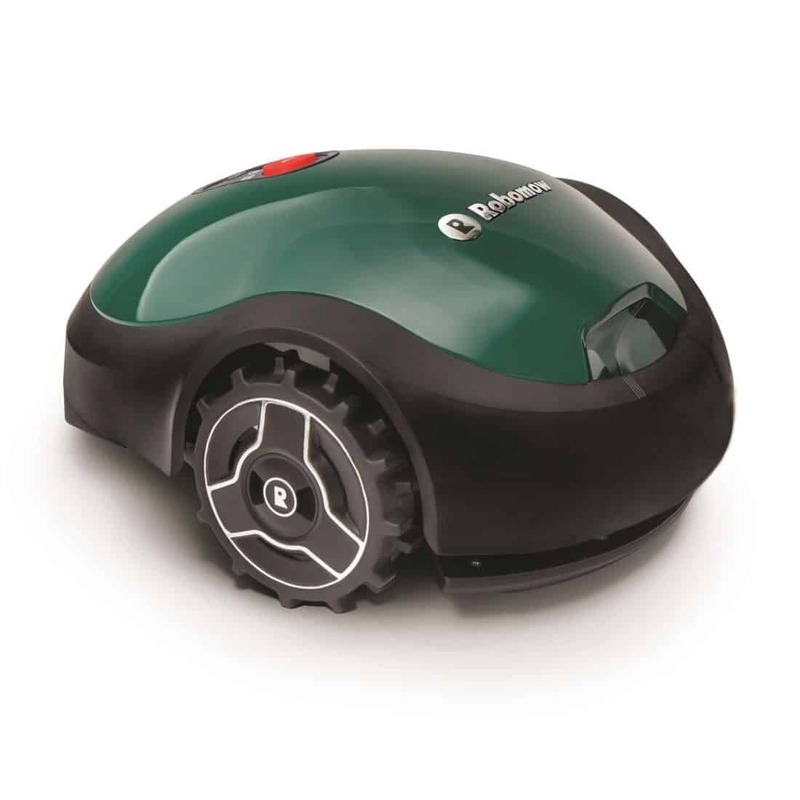 All you have to do is turn a knob on top of the bot to choose any height from 2 – 5cm. This is probably most useful during season changes but if you just want a shorter cut then by all means go ahead. I would recommend, however, that you start with a longer setting and gradually work your way down over time. 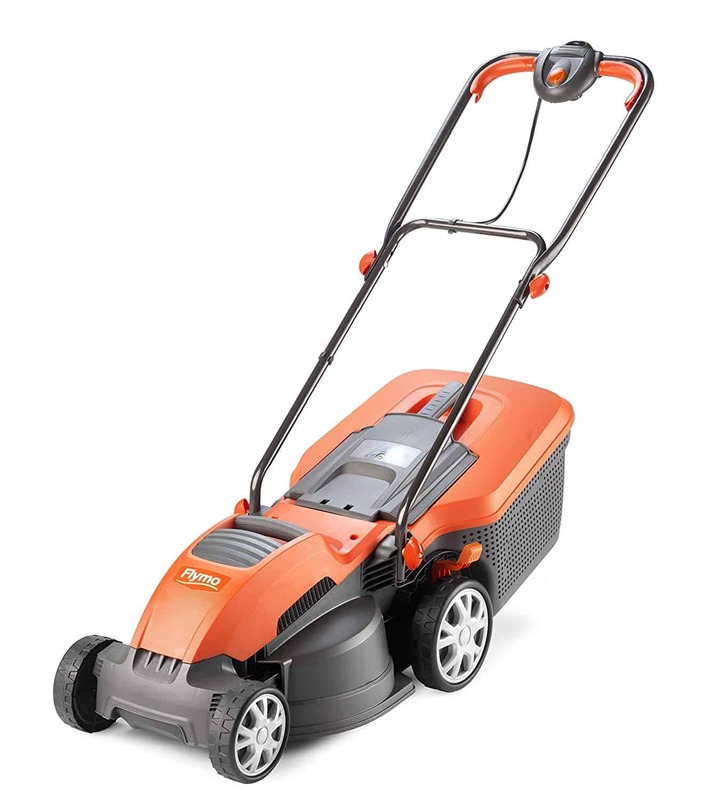 This makes it easier to get grass cut at equal lengths and gives the mower a chance to mulch your lawn (see below). Otherwise you could be left with some brown spots which I know you won’t like. By cutting the grass so finely, the clippings can drop down all the way to the soil. They’ll decompose here to act as a mulch (or fertiliser), passing on nutrients and maintaining moisture in the ground. This promotes much healthier grass growth meaning there’s no need for you to use any nasty chemicals. Although there is something you need to do first. Before letting the 1200R do its thing, you need to go out yourself and cut the grass with another mower. 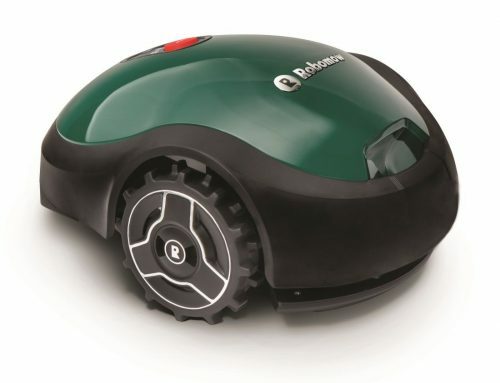 This robomower can’t handle long grass and you won’t give it a chance to mulch your lawn if it’s over grown. It can sometimes bite through (or even just run over) the perimeter wire and run off course. This is very annoying as it’s the only model I’ve seen with this problem so be aware you may need to rescue it once in a while. If there is anything left on the grass during a mow the bot will eat it up instead of just gliding over it, which could lead to a broken blade. Sometimes it loses signal of the wire even when there is nothing wrong with it. When this happens, on the display you will see ‘no signal loop’. To solve, all you do is place it back to charging station and disconnect it from the power source. Before you even get the mower on its first run, you need to make sure the grass has been cut. This bot just does not handle long grass, it usually just gets stuck and will need your help to get out. This mower doesn’t do slopes or bumps too well. So if your garden is unusually shaped then you might want to consider another model. 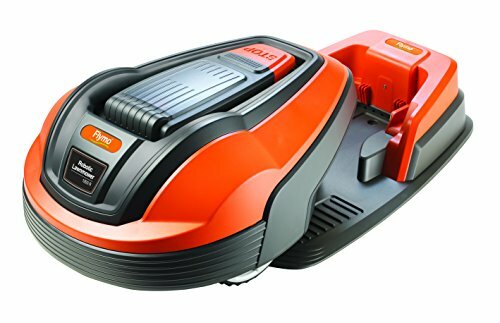 The 1200R can’t cut right up to the edge beside the house, fence or steps, leaving you to get the trimmers out and do you it yourself, having said that, this is common with other robotic mowers. All in all this mower is still a good product. Yeah it may have a few problems but the fact still remains, it does a good of mowing the lawn. And considering the price that you can get these for, I’d say they are very good value for money. There aren’t any competitors out that are as cheap as this that still deliver exactly what you paid for. Even though they should still be considered, just remember all the good things associated with the 1200R. 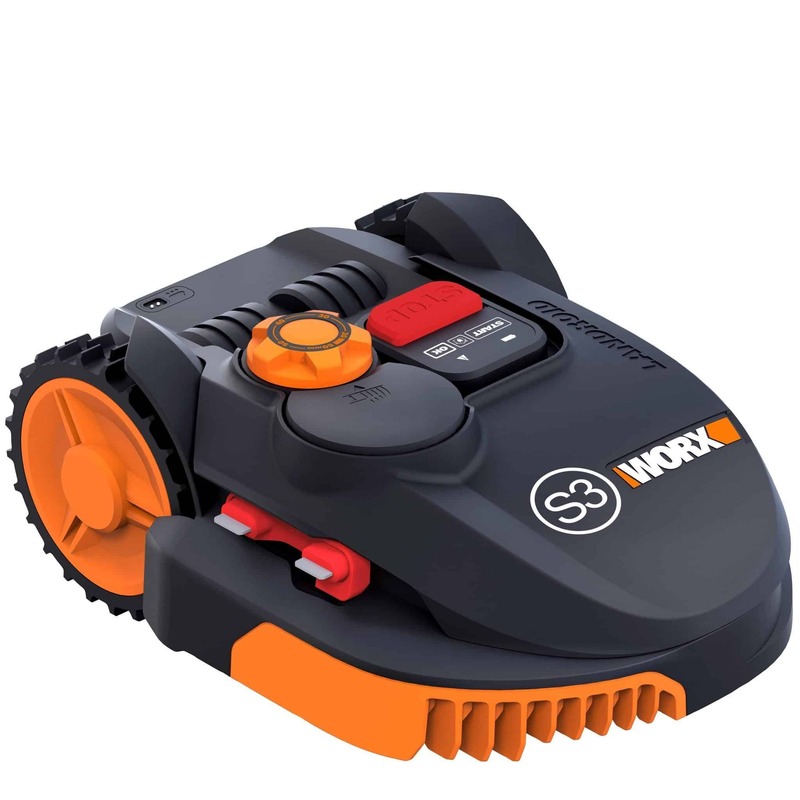 Its power and cutting system are very effective and efficient, it has all the safety features you could ask for and it still lets you put your feet up instead of mowing the lawn yourself. 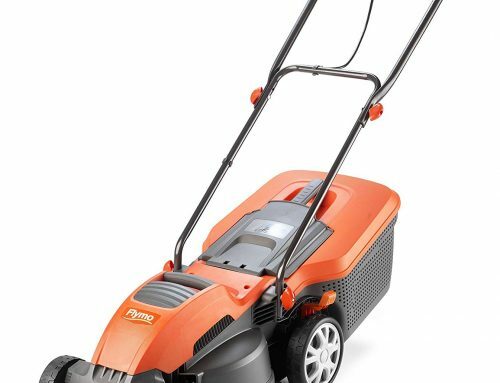 But in saying all this I still don’t recommend you purchase this mower, for me I think paying for a slightly better and more expensive mower is much more worthwhile. Like the Husqvarna 105 – it has much more features and fewer flaws. 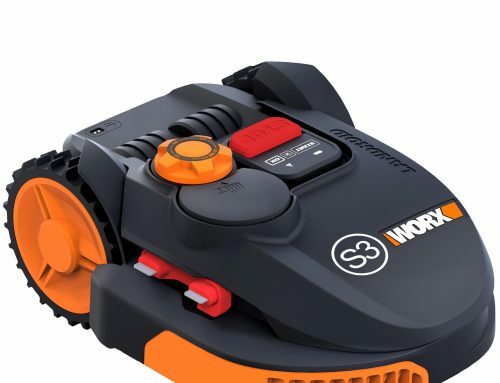 So even with a bigger price tag it’ll actually give you more value for money then the Flymo 1200R. Below I’ve outlined a few factors that will help you understand whether or not you’ll make full use of its features and if it’s suitable to your garden. 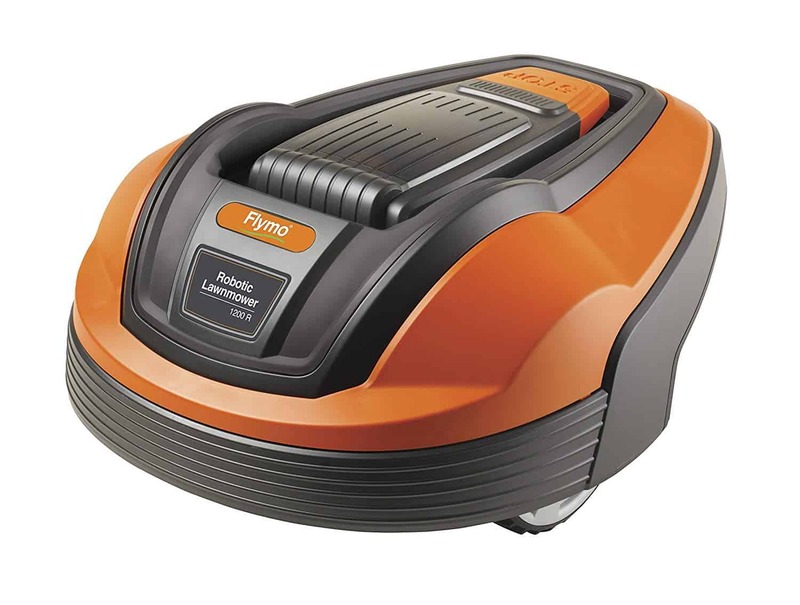 So if after running through those factors you fell that the Flymo 1200R will fit all your needs then make sure you head over to for prices. Out of all retailers they are most likely to give you the best deal and the most reliable delivery service. Also, if you have any questions then please leave a comment below. All I want to do is help you out as much as I can so if you need any help then please just ask! The Flymo 1200R can be purchased from the following suppliers in the UK. Loop Wire 150 m / 492.13 ft. I have always dreamed about mowing he lawn in my sleep. I mean really while I sleep the lawn is being mowed. This little number could do the trick! There are so many things in life I would rather do than mow the lawn on a weekend. The flymo 1200r is perfect for my little 350 m lawn. Thanks for the review! Yeah Marc, I you want something to mow the lawn at night then these robots are perfect – especially the Flymo 1200r model for your lawn. I’m really happy you enjoyed the review and thanks so much for reading! I have two lawns, one at the front of the house and one at the back. Do I need to purchase two charging stations? What are my options? Thank you. 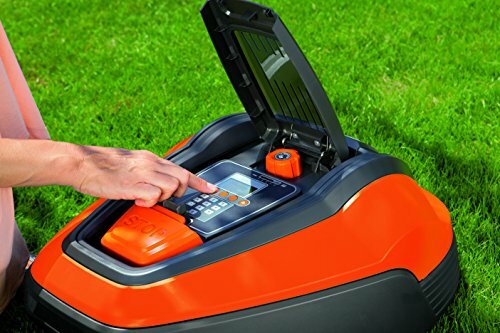 You will not need two charge stations but will need to carry the mower fully charged to the secondary zone and select the manual mode. Here is a video with some graphics to explain this in more detail.